I hesitated to post two Disney lists in a row, but what can I say, I have Disney on the brain lately. 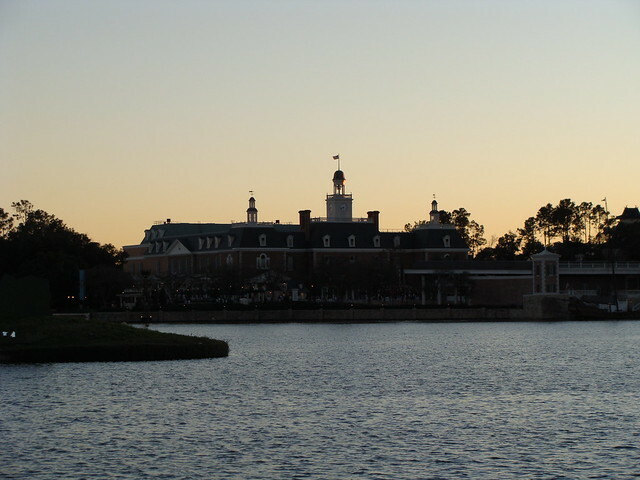 A few notes: I’ve included each country pavilion from Epcot as its own attraction. If the pavilion includes a movie or a ride, that is listed as a separate attraction as well. This list is relatively comprehensive; if a ride or attraction is not included, I’ve probably never ridden it. Water parks are not included, because other than wave pools and lazy rivers, I hate water parks. A horrible attraction. Who would’ve guessed that putting people in a dark theater, touching them with things, spraying them with water, and spraying bad smells into the air around them would result in a negative experience? The old version of this ride was one of my favorites as a kid. I had a Figment stuffed animal and everything. 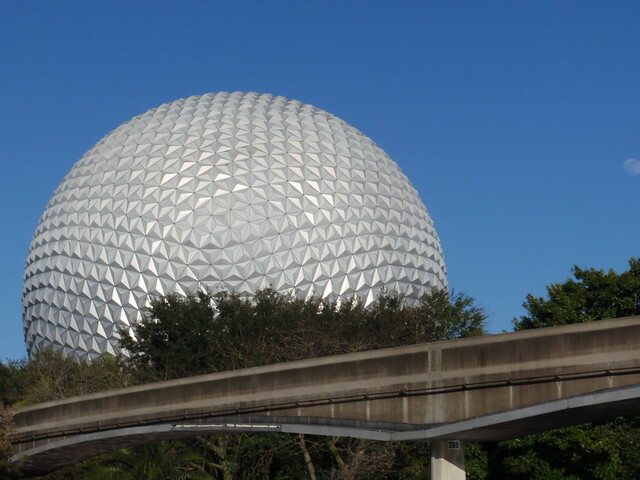 The new one is absolutely terrible, and one of the attractions in Walt Disney World least likely to spark a child’s imagination. Maybe the original was terrible, too, and I just didn’t realize it at the time. By far the most boring of the World Showcase pavilions. It could have been so much better. There’s not really much going on here. The quick service food is just standard fast food stuff, and the building itself is an uninspired Colonial-style place. Why go with a single building here? Wouldn’t it be more interesting to have a street scene like so many of the other pavilions? They could have gone with an old-timey Boston scene. I haven’t seen the animatronic show, The American Adventure, in a long time. I’ll make an effort to see it the next time I go and maybe my opinion will change. Johanna and I are sitting here in a nearly empty apartment. This is our last night in our current place, and all of our possessions, other than our larger pieces of furniture, are already over at the new digs. Even the dog is gone; we’re boarding him for the night so he won’t be underfoot tomorrow when we’re trying to load up the U-Haul. It’s the first night I’ve spent apart from him. Moving is never fun, especially for a couple of worriers like Johanna and me. There are always a thousand things to stress about, and the worst always seems to happen for us. This time we’re particularly bothered by the fact that it seems like someone is planning on paving our dirt road tomorrow, which could make it difficult to get the truck in and out. Anyway, because of all of this, I was particularly looking forward to the Oscars tonight. We’ve ordered a pizza, I’ve poured a scotch, and I’m just going to relax and fantasize about being settled in at the new place. If you read my Grammy or Golden Globe entries, you know that Johanna and I like to fill out ballots beforehand and compete in a winner-picking contest. Johanna snuck out a victory in the last category of the night in the Golden Globes, and I pulled off an untelevised category win in the Grammys, so we’re currently tied, one to one. Nothing like the Academy Awards to settle things for us. Unfortunately, we both read the same predictions online, so we’re either going to tie, or one of us will win based on our short documentary pick. Let’s get this started. Categories and winners in bold. I’ll add some video later if I can find it. 8:00 – We have a weird opening here as all of the best actor and actress nominees stroll out together. 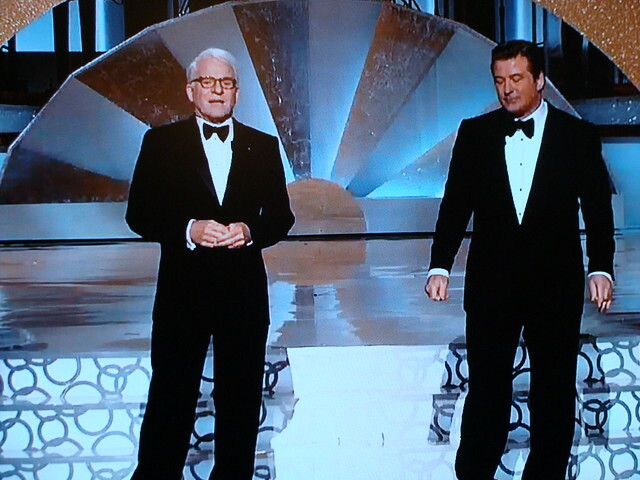 That was odd and masturbatory, but those two words describe a lot about the Oscars. 8:02 – Now here comes Neil Patrick Harris to sing a song for no reason. God, Hollywood loves this guy. So do I, though, so it’s cool. But shouldn’t we be opening with the hosts? 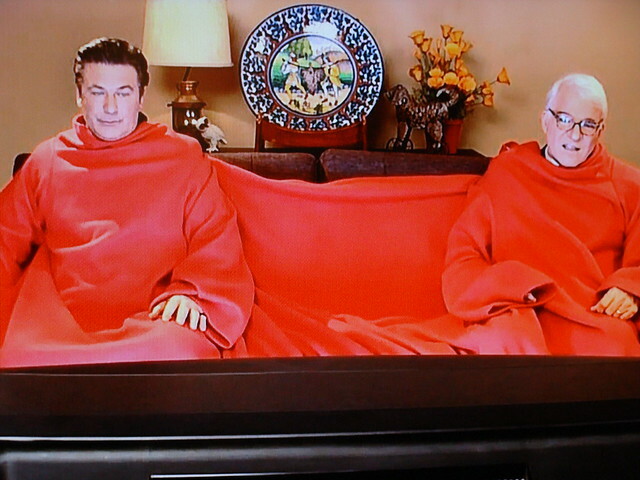 8:04 – I’m a huge fan of both Steve Martin and Alec Baldwin, and I’m sure they’ll be funny. I’m going to go out on a limb here, though, and say that at the end of the night I’m probably going to feel like it would have been better if the Academy had just picked one of them and ran with it. I’m a very big Disney fan, and sort of a burgeoning animation geek, so I’m much more familiar with these movies than your average red-blooded 27-year-old American male with no children has any right to be. That said, while I’ve seen some of these very recently, a lot of this is based on half-remembered thoughts and opinions. So this might not exactly be my definitive list. Also, Pixar movies don’t count here; this is just Disney Animation Studios stuff. Here’s the official list. In honor of my upcoming, highly anticipated trip to Walt Disney World, here are my thirty favorite Disney Animated Classics (movies I haven’t seen, or don’t remember, are excluded and listed at the end). I haven’t seen this movie since it came out, and I don’t remember it that well, really. But I was utterly disappointed by it at the time, and it certainly confirmed to us what Pocahontas had hinted at the year before: the modern golden age of Disney classics was over. This movie is a big deal. It’s the first full-length animated film ever made. At the time, people thought making a feature-length animated movie was ridiculous. Reading about Walt Disney’s drive to get this made and the technological breakthroughs he and his animators made during the production is even sort of inspiring. That said, this movie is boring as hell nowadays. And the animation style, in my opinion, is not at all visually interesting. This movie gave us “When You Wish Upon A Star,” which is a great song. That’s pretty much all it has going for it. It’s divided into three completely unrelated, nonsensical acts, each possibly more dull than the last. Rarely does an hour and a half feel this long.